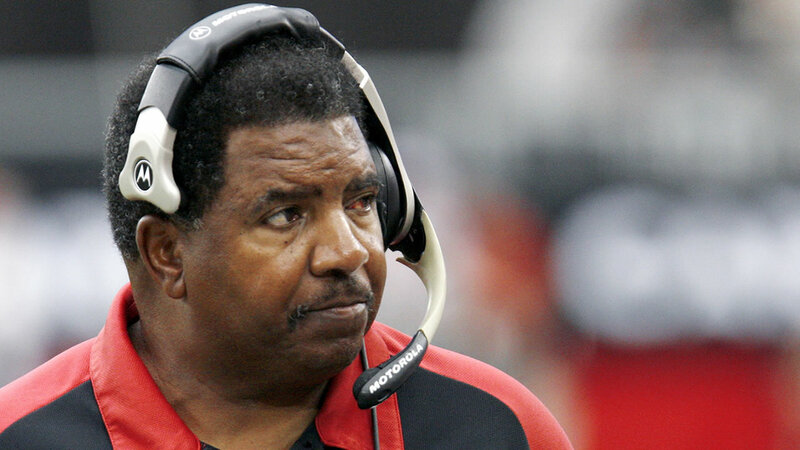 SAN FRANCISCO (KGO) -- Former Stanford and two-time NFL head coach Dennis Green has died. He was a trailblazer in the tight-knit fraternity of football coaches. The way a lot of sports fans remember Dennis Green was a bizarre rant after his Arizona Cardinals lost to the Chicago Bears when he said, "They are exactly who we thought they were." But, there was much more to him. Starting with his Bay Area ties. In an interview, Green once said, "As you know, I've always considered myself part of the 49er family,"
He was an assistant under Bill Walsh in the late 70s, coaching special teams and wide receivers like 49er legend Jerry Rice. "He was my wide receiver coach for so many years and we stayed friends over the years also," he said in a phone interview. "So I'm real saddened by it. He really did a lot for my career." And ABC7's own sports anchor Mike Shumann. "He taught you that this is a profession now and you've got to be serious about it," he said. "And for young players he was kinda just what you needed." After leaving the Niners, Green moved on to Stanford, becoming the first African American head coach on The Farm and in the Pac 12. He blazed a similar trail at Northwestern, becoming the Big Ten's first black head coach. Former Niner head coach Steve Mariucci coached against him at Cal and in the pros. We are saddened over the loss of coach Dennis Green. Our thoughts are with his family. "He learned from the best, Bill Walsh, many of us did," he said. "But he was able to take his own style to those programs and really make the most of it." As for that outburst after the Bears beat Green's Cardinals, Shu says it just showed his intensity. "He said this is just what they were, they're not invincible, we knew we could be 'em, and he was just upset they didn't come through with it," he said. Green died Friday morning from a massive heart attack. He was 67. I am deeply sorry to hear of the passing of my Stanford football coach & NFL coach Denny Green. My condolences are with all his loved ones.